Dr Ng is Founder of Polaris Jewellery Manufacturer Limited. 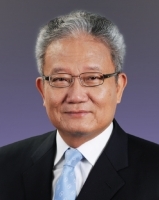 He is also the President of The Chinese Manufacturers' Association of Hong Kong, Council Member of the Hong Kong Trade Development Council, Honorary Fellow and Chairman of Jewellery, Watch and Clock Training Board of the Vocational Training Council. Dr Ng was awarded a Medal of Honour by the HKSAR Government in 2007, a Bronze Bauhinia Star in 2013 for his contributions to the jewellery industry and society.